An Honors Graduate from Middle Tennessee State University with a B.S. in Recording Industry Management, Michael spent eight years learning the ins and outs of post production at Crawford Communications, one of the largest post production facilities in the Southeast. He has also taught classes in Sound Design and Audio Post Production at the Art Institute of Atlanta. 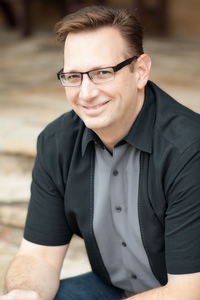 He currently enjoys the independence of freelancing and working with clients such as Chick-fil-A, Inc. and Turner Broadcasting as well as teaching an occasional workshop. Michael is passionate about sound, embraces new technologies, and is grateful that he can make a living doing what he loves. He is an executive committee member of the Atlanta chapter of AES, and enjoys teaching, lecturing and writing as a way to give back and inspire others. He is in the early stages of co-writing a book on Sound for Video Editors.